I took this photo in my pal's Frank Doorhof's studio. Thank's Frank for the setup! 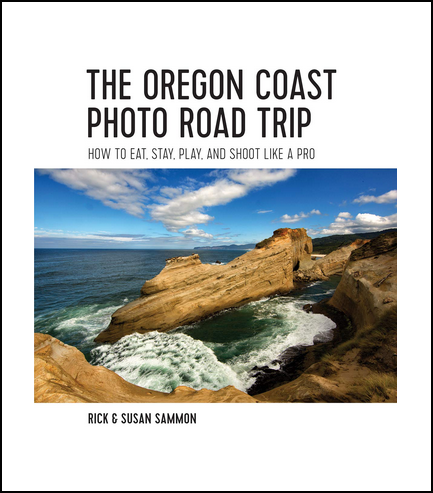 Dr. Dave Wilson and I have just added a "baker's dozen" of lighting tips to the iPad version my flagship app, Rick Sammon's 24/7 Photo Buffet. Photographers who already purchased the app for the iPad can get the new lighting lessons at no cost simply by updating the app. We are working on the update for the iPhone version of 24/7 Photo Buffet. Hang in. The new "baker's dozen" of lighting tips brings the total number of tips, tricks and techniques to more than 100. Many of the new lighting lessons include behind-the-scenes shots. If I don't have a behind-the-scenes shot, I created a lighting diagram to help you see the light. Here is one of the tips from the new "baker's dozen." Want to create some totally cool lighting effects? Are you on a budget? Go with a speedlite (or two) and a grid (or two). A grid is a relatively inexpensive accessory that’s placed over a light source to narrow and direct the beam of the light. Grids feature a honeycomb or egg-crate pattern that create either a circle or square pattern of light, much like a spotlight illuminates a performer on a stage. If the grid is positioned extremely close to the light source, the pattern will not show up in the photograph, as illustrated by the light from the main flash that is falling on the model. If the grid is positioned several inches from the light source, as illustrated by the background flash, the pattern will show up - which is kinda cool! I used two Canon 580EX II Speedlites for this photograph. Both flash units were fired by my Canon ST-E2 wireless transmitter, which was placed in the hot-shoe of my Canon 5D Mark II. Flash A, set at full power, was positioned to my right and above the model’s head. The idea was to illuminate the model and to create a circle of light on the wall behind the model. My goal was to have the strong shadow of the model fall within the circle of light. Flash B, set at one-half power and covered with a blue gel, was positioned behind a fan that was placed to my left. Protective plastic grids on the fan acted as grids. This behind-the-scenes shot illustrates how easy it is to turn a room with a white wall into a photo studio.That is my friend Rob Knight in the shorts. Thank you Rob for letting us use your studio for the shoot. The Rogue 3-in-1 Honeycomb grid is a versatile accessory for creative flash photography. With all these lighting lessons, it's like getting an app on lighting within a general how-to photography app. P.S. For more lighting tips on your iPad, see my Light It! app.